Very soon the cars will be gone to make room for the three-story building of the JWSIII. ITER Headquarters is soon to have a new neighbour. In June 2010 a new building, JWS3, will be ready to receive its tenants. This building—almost identical to Headquarters—will house ITER staff on the ground floor level, and staff from the European Domestic Agency on the first and second floors. It will be situated on the temporary parking area next to the Headquarters building. 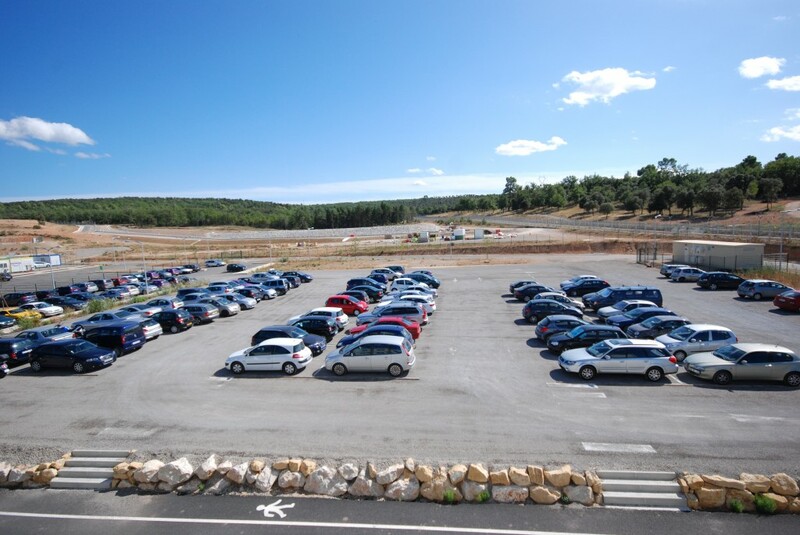 This coming Monday, 7 September, works to prepare for a new parking area for ITER staff will start opposite the HQ Building on the AIF side near the contractor's area. The current temporary parking area will then be fenced off so that the construction of JWS3 can begin. The main operations are scheduled to start in the morning of 15 September. That is why the parking area where JWS3 is going to be build must be cleared from all cars by 14 September. Anybody travelling in the next weeks for a longer period of time thus should not leave his or her car on that parking area.